This Junior chair will seat every young gamer perfectly because of its adjustable features and wide range of recommendable height and age: 100cm up to 160cm for children of 4 to 12 years old. The chair is fully 360° rotatable for free, easy movement. The class 3 gas lift allows an optimal viewing angle at any screen. 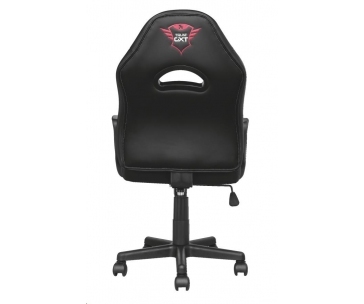 Seated in this chair, young gamers can rest their arms comfortably on the armrests to prevent their posture from collapsing. Enter every game with a head held high! Who said ergonomics was boring? 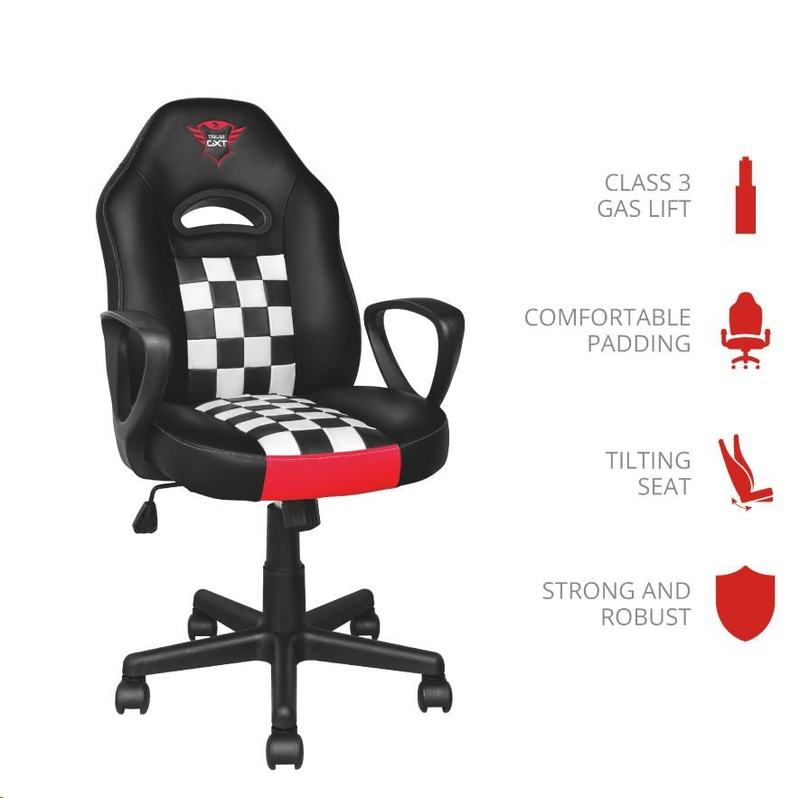 This junior gaming chair comes with a cool design suited for young champions. It has high-density foam covered with durable PU leather so you don’t have to worry about spilling something, simply wipe it off and you’re good to go again. The growth of a gamer comes with crushing defeats and hard-fought wins. Support your gaming career with the strong wooden frame combined with the 5-star wheel which can carry weight up to 80kg. Roll smoothly to victory with the durable, double wheels.